When looking to charter a private jet in Las Vegas, look no further than Bolt Jets, the number one choice for discerning passengers who only want the very best. Bolt Jets is the most trusted private jet charter company in Las Vegas. With 24/7 accessibility and a premium concierge team available, we are completely unique and we guarantee affordable prices. We always go the extra mile to provide everything needed for your flight. We have access to a fleet of over 1,200 jets across the world and we are used to tailoring our services for any occasion. So, for private jet charters in Las Vegas for a sporting event, bachelor party, business requirement or private party before hitting the casinos, choose Bolt Jets’s premium service. Of course, if travelling on a business trip then time is of the essence. Chartering a Bolt Jets or Bolt helicopter rental to get to Las Vegas in time for a meeting is the perfect choice and makes the right impression. We also provide a 24/7 365 day concierge service, there to tailor Las Vegas charter flights for any corporate or private event in or out of Vegas. To organise the perfect charter flight, contact the Bolt Jets concierge team. 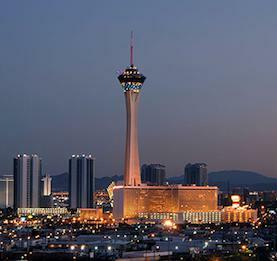 Known as the Entertainment City of the World, there’s no time to sleep when visiting Las Vegas! It is a treasure trove of exciting activities to participate in, from bustling casinos to dramatic live shows, kitsch wedding chapels and large, thrilling hotels. It’s no wonder over 40 million visitors flock to this city every year. Renowned for its fun-loving, big bucks rollers and party-goers it is a popular destination for tourists from across the world. Think bright neon lights, music, Elvis Presley, a busy, buzzing city that sweeps everyone along with its unique atmosphere! It’s also home to plenty of art and culture, particularly modern day music and art – check out the City Hall Gallery and the Charleston Heights Art Gallery for art lovers. The Fremont Street experience is something to be enjoyed with its $70 million lights and sounds. There are dozens of casinos open all day and all night, or choose to take in a few of the best downtown shows, there’s always a big star in Las Vegas. The night sky is lit up by brilliant laser beams and the sights of flashing lights, roller coasters with a backdrop of incredible glittering light. As Elvis once said – VIVA LAS VEGAS! Las Vegas has a plethora of different flavours to savour from all around the world, Asian, Fusion, Tapas, Hawaiian, Brazilian and home-grown good old American food. Everyone’s got to eat and when on the hop or with time to enjoy a long, leisurely dinner it’s important to know where to go. Here are a few top tips from Bolt Jets on a few of the restaurants to choose in Las Vegas. For good French food, don’t miss Bardot Brasserie which is a classical style restaurant and winner of several awards. Enjoy steak tartar, duck a L’orange, steak frites and their famous roast chicken! If steak is a preference, don’t miss the Wagyu beef at Heritage Steak in the Mirage Hotel and then again when something fast and tasty is all that will do, try Holsteins or Gordon Ramsay’s BuRGR in Planet Hollywood for a great burger. Too busy to try out the best eateries in Las Vegas? Speak to our dedicated concierges team to arrange for dinning options from your choice of any Las Vegas restaurant during your charter flight out of Las Vegas. 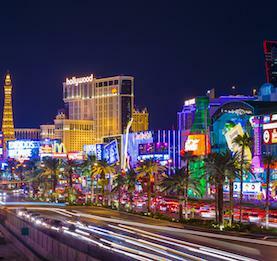 Planning a corporate trip to Las Vegas? 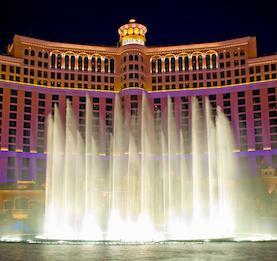 Why not leave it to the Bolt Jets Concierge team to plan any corporate trip to Las Vegas? The team is extremely knowledgeable on all aspects of corporate travel and will be able to advise on everything you need including recommending the type of jet suitable for your trip. Not only that, our team can assist with onward journeys, providing transfers and accommodation in top class hotels. There are different airport options when chartering private jets to and from Las Vegas.